A short add on for the upstream Nordheimer stretch, this run provides a nice introduction into the beauty of the clear waters and marble gorges that the Salmon has to offer without having the stress of class V’s. This run is great for someone to warm up on before talking Nordheimer or to make a destination for. For a class III stretch you could head to the stretch above Nordheimer, although I have never done it I have heard it is fun class III. One this to keep in mind is that in this stretch there are a few holes which sneak up on you and can give you a beating. One of which is sided by an undercut. Enter easy looking rapids with caution in this stretch. Also, there is a must run class IV to IV+ in this stretch, and it is MUST run. There is no way around it. So if you are not comfortable with this, you may want to wait for another day. All in all, a great run by itself or to finish off a day of Nordheimer, one which I will surely do again when in the area. The only runs I have done on this stretch have been at 2,300 cfs. So I am sure the lines change as the water differs. Also there are numerous rapids in here that are not making the write up. 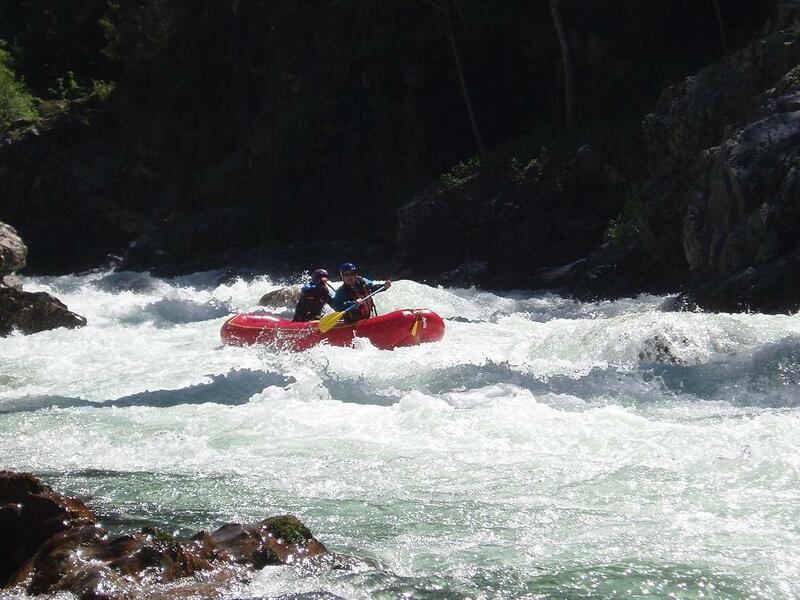 There were numerous rapids throughout this run, however I only remember a few. Double Drop I (IV-). 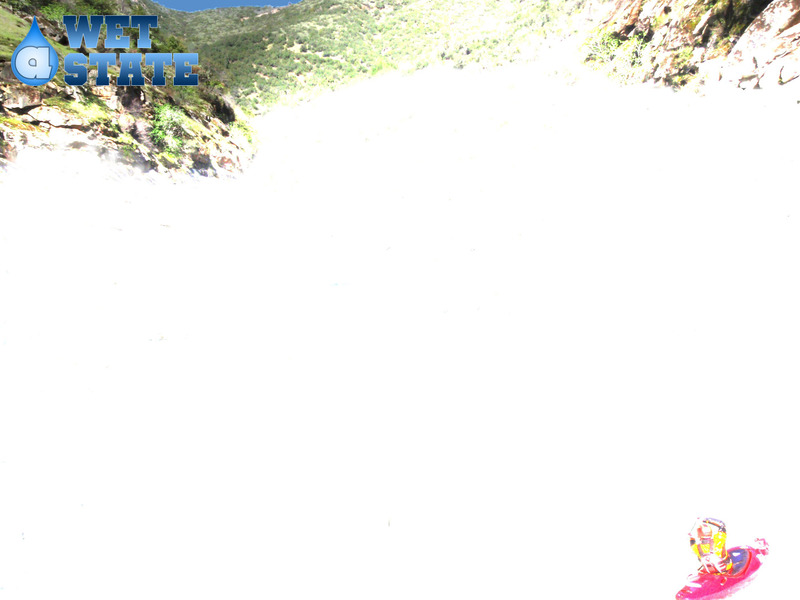 This rapid is a two tiered drop which had to be ended moving right to avoid a large hole. Double Drop II (III). Just a little ways downstream is a similar drop which we ran the same way. The Maw (IV). At our flow it was easy to move your way around rocks and between holes. We ran down the right the whole way. As flow comes up the idea is to avoid what becomes a massive hole 3.4 of the way down center/left. Hole/Undercut (IV). This rapid comes on a left turn of the river water. It looks simple enough, but at the end a sneaker hole appears on the right, the recirculation of this hole is against a badly undercut rock. If you make it left of the hole it is easy, but the hole snuck up on one in our group and gave them a pretty good working. Take out: Driving up Salmon River Road from Highway 96 in Somes Bar, drive 2 or 3 miles and just across the street from Wooly Creek parking area, drive down the drive way at the Forest Service sign for Brannons Bar. This is the take out, however you cant park here so park at the Wooly Creek parking. Put in: Heading upriver, drive until you reach Butler Flat (maybe 4 miles). There will be a forest Service sign for Butler Flat. If the road goes from 2-lane to 1-lane on you, turn around and drive one hundred yards the other way. There is parking upriver 100 yards from the actually river access on the right.